Immediate pricing. No annoying sales calls afterward. Customer service by knowledgeable people. Easy to understand instructions for do-it-yourself installation. Coast-to-coast job site delivery of your materials within days after placing your order. Material warranties that are the best in the industry. The benefits of metal roofing are many and include having a superior steel roof that far outlasts conventional roofing, not to mention being environmentally friendly. Though a good roof can be pretty to look at, let’s face it: when you need a new roof, looks aren’t usually your biggest concern. You want a roof to keep the weather out, and you want that roof to last. Everyone likes to talk about the weather, so let’s do. Whether your place is up in the Ozarks or Ouachitas, out in the timberlands, or down in the lowlands along the rivers, the Natural State surely can throw you some weather. She’s going to serve up thunderstorms and hail like most folks have never seen. And then she really gets going, with tornadoes or the occasional ice storm. So, unless you’ve decided to make your home in one of those famous Arkansas caves, you’ve got to have a roof that can take a beating. There are plenty of roofing options around, but here’s why most folks figure a metal roof to be their best choice. 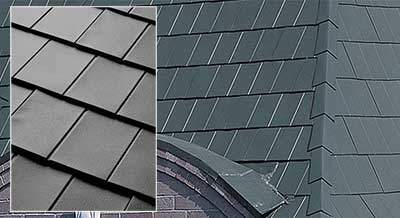 In the steamy summer months, a metal roof cools down quicker at night. That lets the whole house cool off faster. Aside from the comfort advantage, it’s also less work for your air conditioner, less to pay the power company. Speaking of the power company, many metal roofing styles are going to qualify you for the EnergyStar tax credit, a nice break offered by Uncle Sam. 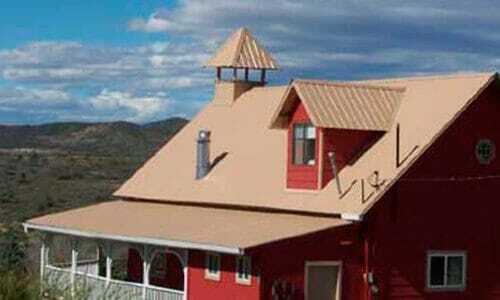 A metal roof is lighter than shingles, shakes, concrete or tile. So it’s easier for the roof structure to carry. And, if you’re replacing an older roof, metal’s light weight often means you won’t have to rip off the old one before putting up the new. While no roof is likely to survive going one-on-one with a tornado, a properly installed metal roof can typically hang on through winds of 120 mph or more – so you’ve got a fighting chance if a twister is just passing by. Metal’s made to last. 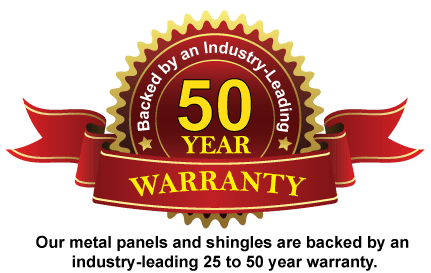 Most metal roofs come with warranties up to 30 or even 50 years. Wherever you are in Arkansas, when you’re ready for a metal roof, contact us! We will be glad to hear from you, and to give you a hand picking out the right type for your particular home or business – and for your budget, too. 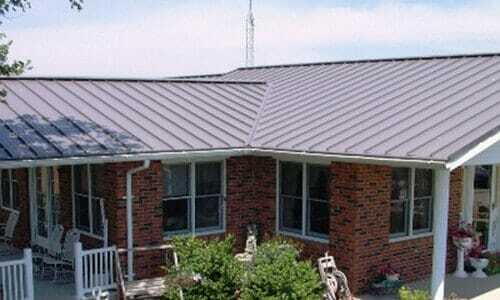 Looking for metal roofing in Arkansas? We serve the whole state of Arkansas. Little Rock, Fayetteville, Fort Smith, Pine Bluff, Jonesboro – you name it, we serve it. The prices we’ll quote you include shipping direct to your job site, though shipping restrictions affect a few areas. Click here for details on shipping to your job site. Our synthetic underlayment is 20X STRONGER than felt.